​These procedures are for all CUSL, and TPL games. 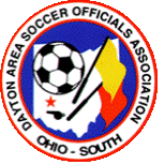 If the game in question is for another league, contact the assignor for that league FIRST, then use the procedure below if you are unable to reach the proper assignor. Email YouthAssignor@gmail.com and Call 937-732-5069 (On-Call Assignor). If no one answers leave a message. Give it a few minutes and whoever is on call will call you back. If you reach voicemail on any phone number above, ALWAYS leave a message! ​Remember to always submit an online drop request via the system ASAP. Try to beat the 96-hour window by as much as possible so you do not HAVE to do the steps above. DASOA assignors are obligated to notify the Ethics Committee of ALL Late Drops including NO SHOWS.